Edible and medicinal plants, 1881 illustration. 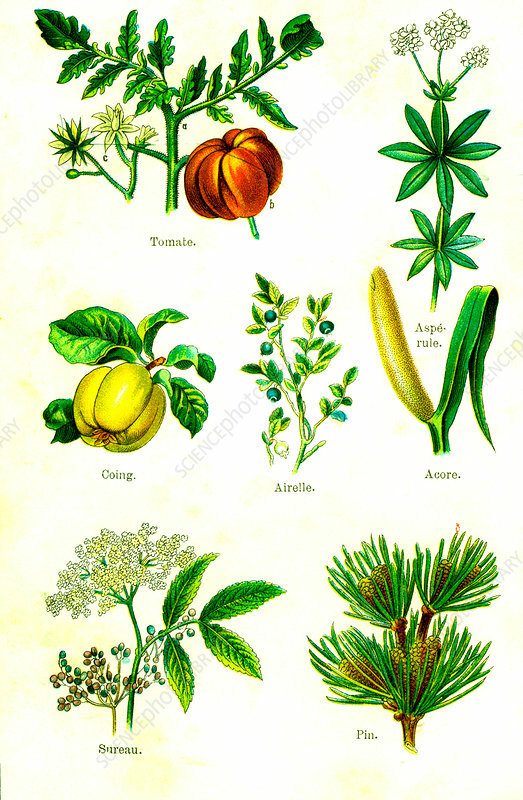 From top left: tomato (Solanum lycopersicum), woodruff (Asperula sp. ), quince (Cydonia sp. ), huckleberry, sweet flag (Acorus calamus), elderflowers and elderberries (Sambucus sp. ), and pine (Pinus sp. ).